Lucio Bubacco is a name that is associated with innovative and original glass works of the current context in the history of glass architecture. 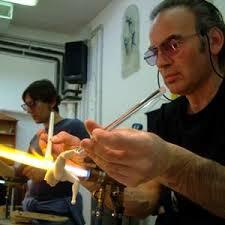 He was born in the legendary island of Murano in the year 1957 as the son of Severino Bubacco, an expert glass master. 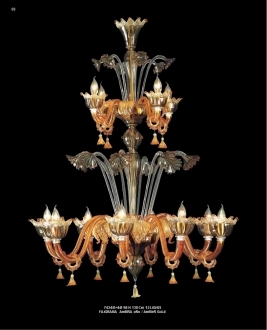 The island of Murano has acquired legendary proportions in the glass industry because of the original techniques that are developed in the glass blowing industry. Lucio Bubacco who was born in this island was naturally involved in shaping glass from a very early age. He began by making small animal figures that are incorporated into lamp works. He got a license for glass artists at the comparatively young age of 15. 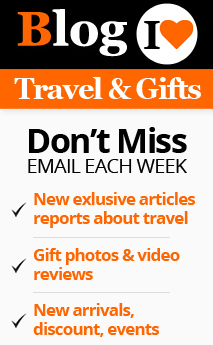 He got the fabulous opportunity of travelling a lot with his father. Their travel outside Murano gave him a chance to see and learn diverse approaches to glass from the experts in France and America. It was not glass which received his creative efforts in the beginning. As a young artist, he went through a phase of working with other easier media like clay. But ultimately he returned to glass which is his ancestors’ medium and began to work wonders in it. He was able to understand glass because of his childhood haunts in the glass furnaces of his father’s contemporaries. Lucio had a great passion for making anatomically perfect figures, which he assimilated with lamp works. He started with making animal figures and soon dive rted his skills in making human figures. He even did a course in drawing under Alessandro Rossi. This gave him the expertise he wanted, to produce perfect postures of figures. The drawings helped him in shaping the figures with meticulous perfection. 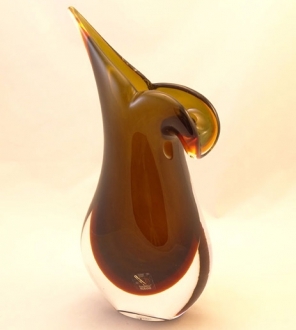 He often travelled abroad to accumulate information and technical ideas from there and came back to Murano to give life to his ideas using traditional Murano glass techniques. He liked to work with soft Murano g lass which is a brilliant medium. He was always attracted to historical and mythological figures and often created exquisite representations of the same. These figures he incorporated into lamp works and vases. He began to conduct solo exhibitions sometime in 1980s. His compositions and art pieces were popularized among the American art museums by an American lady and he was invited to America. He met many artists there and earned many new things in color combinations and fusions. 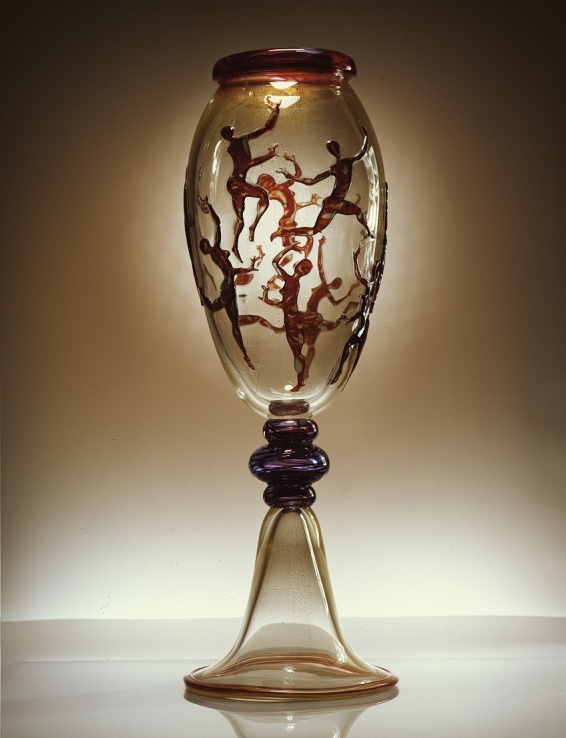 After coming back to Murano, he was able to experiment with all those ideas and produce unique pieces on his own. His human figures express almost all the dramatic contexts in human life, like catastrophe, seduction, violence, and all sorts of mythological themes. 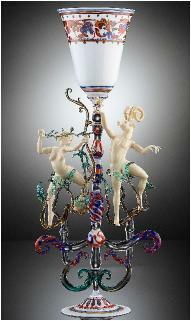 In his own words, he wanted to “portray human culture in glass”. Lucio Bubacco even now believes in making his own compositions himself. He was a pioneer in producing “human figures in movement”. His works present a perfect blend of Greek structure and Venetian gothic architecture. His works changed the basic concepts of lamp works from traditional to a much more modern one, which included human forms which exhibited various stages of movements that gave the lamps more expressive forms.